As is its custom, Google quietly launched a new search algorithm in September but didn’t announce it until last week. Unlike recent updates like Panda and Penguin, this is a whole new algorithm that Google has dubbed “Hummingbird” because it is precise and fast. Panda and Penguin still exist, but are now part of the new algorithm. Hummingbird changes the way search requests are processed by the search engine to better reflect the meaning of the searcher. Instead of focusing on just the most salient words, all the words in the request will be taken into consideration and evaluated in relation to each other. In addition, the algorithm considers synonyms of the words in the request to make the results even more accurate. In keeping with changes in the way people are using Google, Hummingbird also allows for “Conversational Search”. Increased use of mobile devices, specifically those with voice recognition interfaces such as Siri, has led to more voice search and a more conversational tone in searches. Google can now better understand the context of a series of queries. For example, by asking “Who won the 2012 Academy Award for Best Actress?” Google has the context for the next query, “How old is she?” and will give you the correct answer. 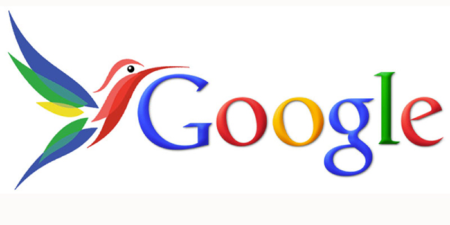 Hummingbird seeks to not only better interpret search queries but also to deliver search results that are more useful. This means that having a mobile version of your website is more important than ever. Google has stated outright that sites that do not perform well for mobile users will not rank as high as those that do. And if your site is not mobile friendly, those mobile users who do make it to your site will be less likely to have a good experience and less likely to return. So how will this affect your search rankings and website traffic? If your site is well optimized for SEO and mobile use you shouldn’t see any negative results. The users being brought to your site by search should be more qualified, since their search results should better match their requests. A well-designed and optimized site could actually see an increase in ranking and traffic. Throughout Google’s history, it has been striving to deliver the best search results possible and Hummingbird is another step towards that goal. And throughout its lifetime, Google has been declaring that the best way to get good search engine rankings is to have a site with abundant, well-written content that is fresh and relevant. Now that the algorithm is delving more deeply into the request and considering semantics instead of just keywords, this is even more important. Keywords, meta-data and links still factor into the rankings but will not do their jobs if the site is stale, irrelevant or light on content or if your site is not optimized for mobile users. If you need help making your site attractive to the Hummingbird full service advertising agency Ridge Marketing can help. Contact us.